Volunteer in Rwanda if you have a group of 5 or more interested in volunteering together, customized programs can be arranged. A Broader View Volunteers has extensive experience working with students, teachers and families providing tailor-made service trips for small groups. Known as the "land of a thousand hills', Rwanda is a lovely country dotted with green landscapes made up of volcanic mountains, high and low altitude forests, expansive savannah and beautiful lakeside beaches. Rwanda is also home to the world-famous mountain gorillas. Volunteers have many opportunities, for tourism, on their free days. These include visiting mountain gorillas in the Virunga National Park, safari in Akagera National Park, visiting the beautiful Lake Kivu on the western edge of the country, or learning about local culture and history at the National Museum in Huye. Extending a trip to visit neighboring countries such as Uganda or Tanzania is also very easy. This volunteer program supports pre-school & primary school classes, as well as youth in vocational training school. The programs are committed to protecting the human rights of children in Rwanda, eradicating any form of child labor and offering even the most disadvantaged child the chance of a good education. Come volunteer in Rwanda and work with children and youth in a village school. The school offering these children an opportunity to grow and learn, and possibly a chance at a better like. Volunteer in Rwanda with A Broader View Volunteers a top rated non-profit charity organization, which works tirelessly to support our wonderful volunteers and serve the local communities where our volunteer programs are located. Placements in Rwanda are based in the city of Rwamagana. Program placements are tailored to the volunteers different interests and skill sets, but still allow volunteers time to explore the African local culture and activities during their free time. 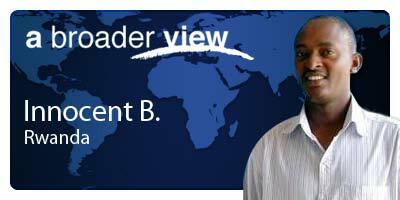 The type of programs in Rwanda vary widely, offering everything from education to health care. Volunteers can choose between 2 program opportunities in the orphanage. International volunteer help is not only appreciated by the local community, it is severely needed by the millions of Rwandans living below the poverty line. With thousands of children living and working on the streets, as is so often the case in developing countries like Rwanda, our volunteer programs are designed to support the needs of local teens and children in desperate need of assistance. Many of our volunteer abroad programs cater to underprivileged women and children’s care, education and health requirements. Our extensive range of social programs near Rwamagana, Rwanda programs include: Orphanage Care, teaching and many more. 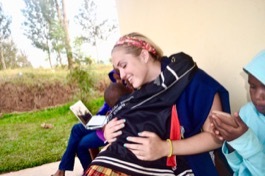 Volunteering in Rwanda is an incredibly rewarding experience. We welcome volunteers of all ages and from all backgrounds to join us. Whether you’re seeking volunteer abroad programs for college students or voluntary work for over 60s, as a trusted non-profit organization which prioritizes the safety of our volunteers, we are the go-to for volunteers across the globe. We also offer customized programs with flexible arrival dates to best suit the needs of the remarkable volunteers we depend on to help us make the world a better place. If you’d like to volunteer, Rwanda is just one of the countries we’ve taken under our wing, supplying a steady flow of volunteers and providing year-round financial support to local projects in near Rwanda. Wherever you decide to volunteer, A Broader View give you the opportunity to participate in meaningful community service work, learn a foreign language, make lifelong friends and discover that one person really can make a difference. Your search for the best volunteer abroad programs ends here – volunteer in Rwanda with us and gain A Broader View of the world. Welcome to Kenya! 🇷🇼. My name is Innocent and I am your ABV coordinator while you are staying in Rwanda. Our country has one big city, Kigali. But you will be working in Rwamagana. We will be ready for support 24/7 in case you need to contact us urgently. We will introduce you to your volunteer location and staff. You are most welcome to seek our assistance and don’t hesitate to ask us questions while in country. Most rainfall (rainy season) is seen in February, March, April, October, November and December. Rwamagana has dry periods in June and July. MMy time in Rwanda was one of incredible personal and spiritual growth; I experienced difficulties and successes, natural beauty and man-made ugliness, pure joy and deep sorrow, and an overwhelming appreciation for the wonderful world that God had created for us to inhabit and, even better, to share with one another. I enjoyed my 2-week volunteer work in Rwanda! I not only fulfilled my dream to teach in Rwanda, I also found myself fascinated with the Rwandan culture! Volunteering in Rwanda further augmented the love that I have for Africa. Teaching at the Primary School was a great experience- teaching english, reading, and writing presented its challenges, but there's nothing more gratifying than your P2 kids finally grasping the concept of comparative adjectives.